Between now and the end of the year thousands of youth hockey players from across the country will pass through Rochester competing in one of several hockey tournaments taking place over the next few weeks. Rochester plays host to numerous hockey tournaments throughout the season. Tournament directors, organizers and coaches appreciate the quality of facilities available to teams competing in Rochester, as well as the variety of lodging, dining and entertainment options for families of players and fans to enjoy during downtime from competition. One of the first major hockey tournaments to visit Rochester this fall is the mega-tournament Fire on Ice, produced by Legacy Global Sports in partnership with Bauer Hockey. 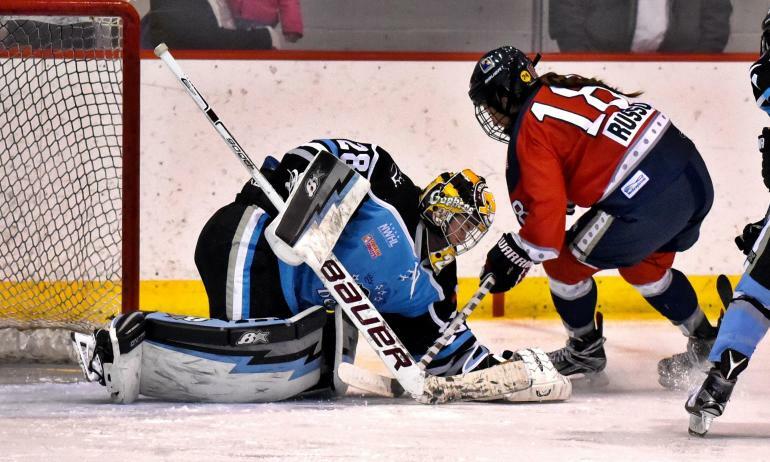 Bauer Fire on Ice is one of the largest girls’ ice hockey tournament in North America. During the tournament 99 teams will compete, with athletes traveling from Massachusetts, Pennsylvania, New Jersey, Connecticut, Illinois, North Carolina, Colorado and Canada. New in 2017, in conjunction with Bauer Fire on Ice tournament, Rochester will be the site of a National Women’s Hockey League (NWHL) game. The defending NWHL Isobel Cup champion Buffalo Beauts will face the New York Riveters on Saturday, Nov. 4 at 7:30 pm at the 2,500-seat Bill Gray’s Regional Iceplex. Bauer Fire on Ice is one of the first major hockey tournaments in Rochester this winter. There is a tournament scheduled almost every weekend until the end of 2017. Details on upcoming tournaments including dates, location and estimated attendance continues below. National Junior Prospects is a tournament series created to help players showcase their skills to reach the next level of hockey. This is the third year they have hosted their regional showcase event here in Rochester. The tournament is expected to draw 600 attendees. Superseries AAA is a national organization that hosts elite level hockey events across the country. In their second year here in Rochester they have increased their presence and brought their bracket madness series to the Bill Gray’s Regional Iceplex. Each tournament has an estimated attendance of more than 1,500. Legacy Global Sports has continued to grow their tournament series in Rochester and bring more of their high level events to the area, with the goal of continuing to grow the passion for the game. The Mites Full Ice tournament has an estimated attendance of 1,400. For more information on upcoming tournaments and other sports events, please visit http://www.monroecountysports.org/.